I'm a huge fan of bronzer. Don't get me wrong, I love being pale, but experimenting with different bronzers can be so much fun. It can transform your look, and it's perfect for those days you feel like you're verging on the pasty side. 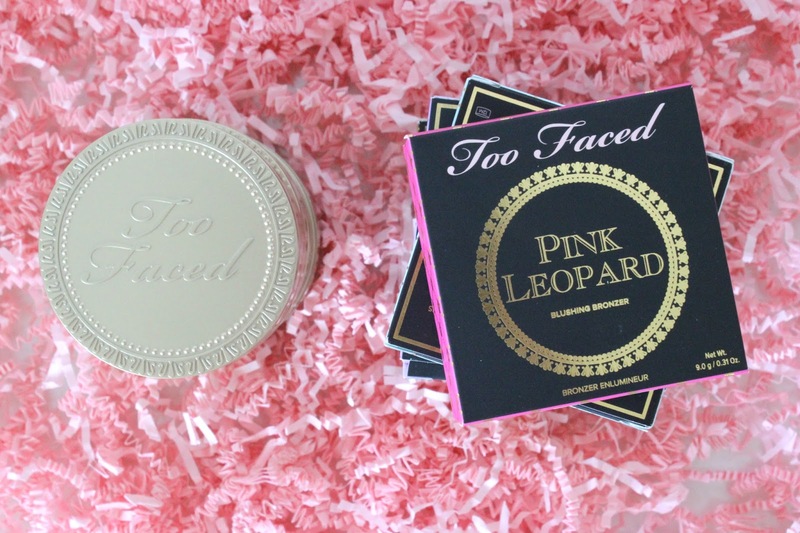 I was so excited when I received the Too Faced Passport to Bronze collection, that people like Shaaanxo have reviewed. Needless to say, it was one of the first things I started playing around with. 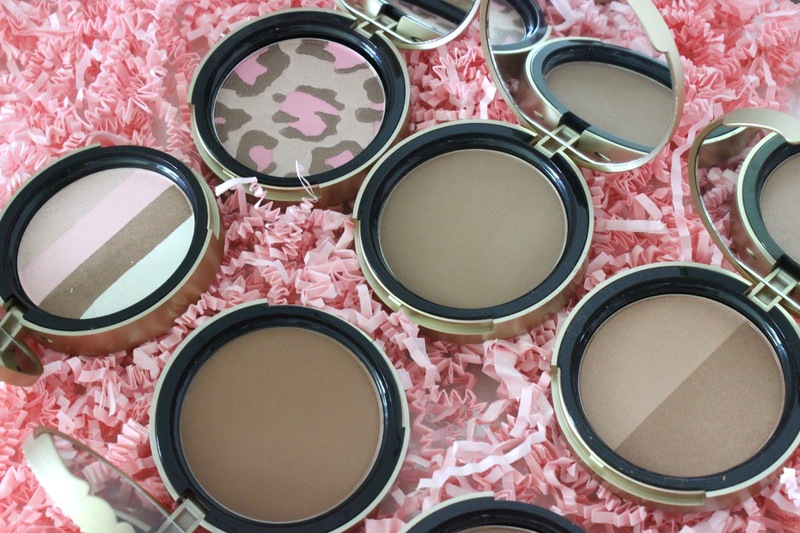 I've actually had two of these bronzers before, and the Pink Leopard was my go-to face product when I was in high school. It's one of the few makeup items in my life that I've ever completely finished. I used the pinkey-tones as a blush, the warmer browns as a bronzer, and I would use the three distinct colours as eyeshadow. It really was the perfect, most versatile palette for people who don't want a ton of stuff in their collection. 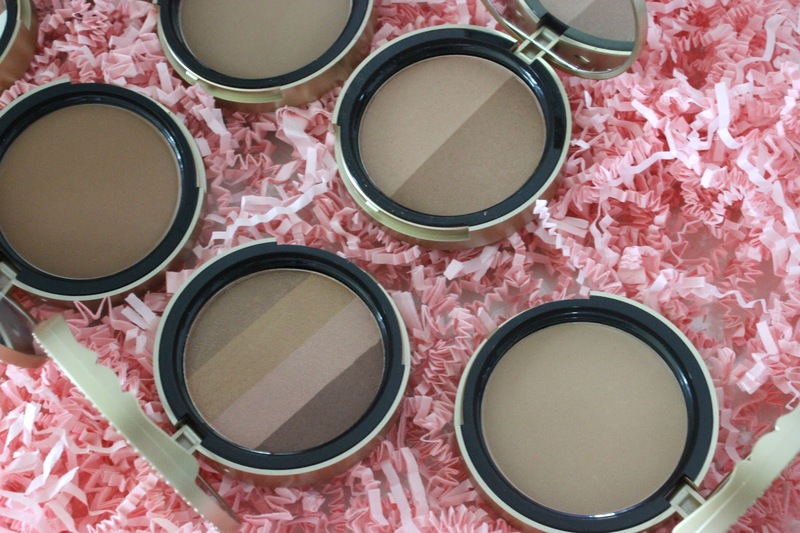 But naturally, as my love of makeup grew, so too did my love of bronzers. I received the Too Faced Milk Chocolate Soleil for Christmas last year, and it's been one of my go-to's everyday. You can use it as the perfect transition colour for your eyeshadow, but of course, it works amazingly on the perimeter of your face. 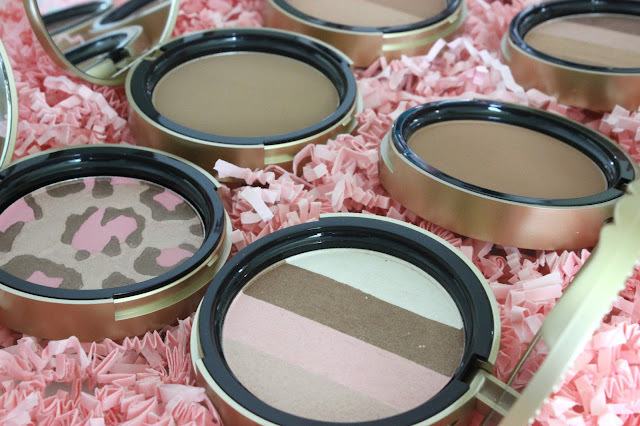 I'll go through each of the bronzers in detail below! As you may or may not be able to see, there are a mix of matte and shimmery products. 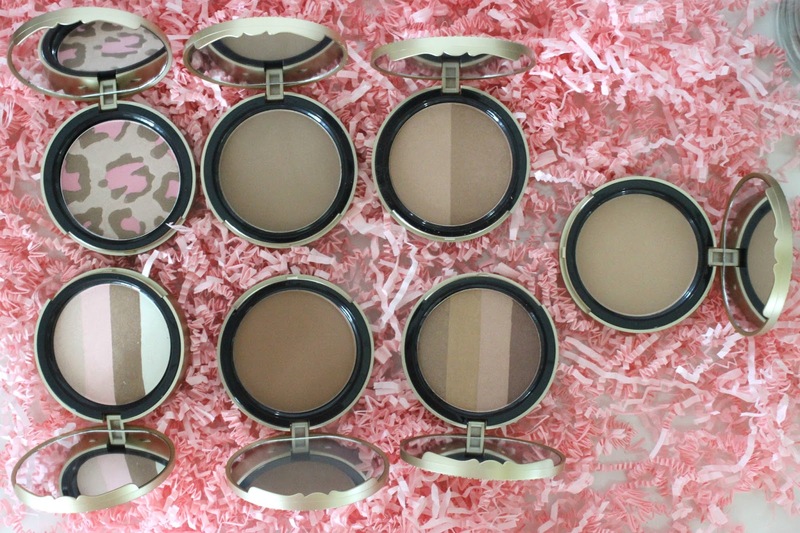 All of the "Chocolate" bronzers (the Milk Chocolate, Chocolate, and Dark Chocolate Soliel) are all completely matte. As their names would suggest, they are three shades of brown that vary between a light, medium and deeper shade. These three are all quite neutral toned, meaning they would be great for contour as well. I use the Milk chocolate one the most, as I'm super pale, but I have played around a bit with the other two. 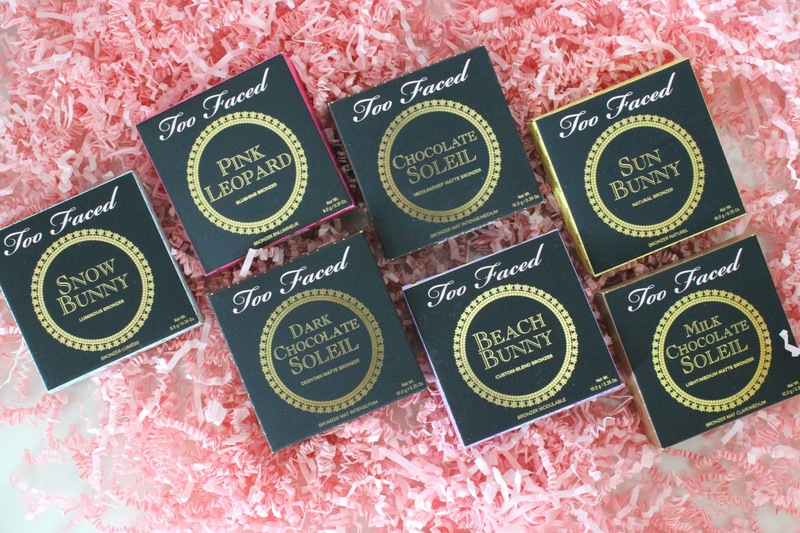 I absolutely love that Too Faced launched the lighter and darker tones so that different skin tones can all benefit from the amazing formula. It's super smooth and creamy, and has very little kick-back. It blends seamlessly into the skin, and starts out relatively sheer, but builds up quite quickly, so you may want to be light-handed. The other four bronzers are all shimmery-esque. They don't have any decidable glitter particles, which is nice. I really love using these because when you get a tan in the summer, I always find that your skin develops a beautiful radiant glow, so it's nice to use products like this that mimic that look. Snow Leopard and Snow Bunny are great for paler skinned girls. They both contain similar pigments, with pinks, taupes, and even a white-highlight colour. They are really light weight and almost creamy feeling. It doesn't cause any cakey-ness, and looks completely natural. You can even take a tapered brush and focus on just one or two colours; you can use just the white as a beautiful highlight, or combine the far right two as a blush. And like I said before, because of all the colours in these bronzers, you can always use them to create a multi-tonal eye makeup look in a pinch. 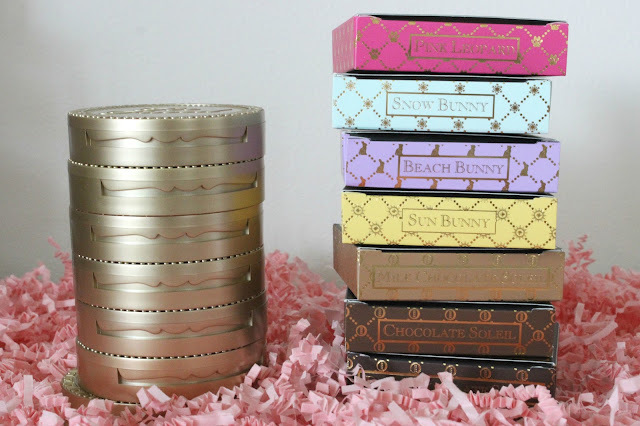 Sun Bunny and Beach Bunny are great for medium to darker skin tones, and I found I was reaching for these a lot more when I was fake tanning. Sun Bunny is divided into two sections, really similar to the new Sweetheart bronzer, with both sides being quiet warm toned and shimmery. Beach Bunny has 4 strips, similar to Snow Bunny, but with 4 warmer and darker shades. Ranging from taupe to gold to deep brown, you can focus your brush on different sections to create different looks. I find the four strips aren't as divisible as Snow Bunny, but it still creates a stunning look. 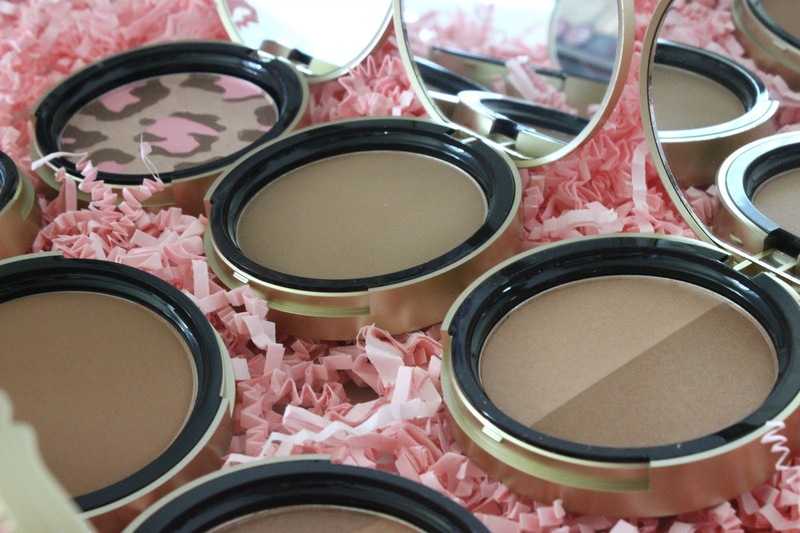 Overall, I absolutely love these bronzers. You definitely don't need all 7 bronzers, but I think that each one has it's own merits, and there are no difstipugable differences between them in terms of quality or pigmentation. I would recommend getting at least one of the Chocolate bronzers for when you want a mattifying look, and another of the more shimmery-ones (The "animal" bronzers, as it were). Which one you get depends on your skin tone, but there is bound to be a few in the range to satisfy your needs.